Hotspur, along with many small settlements in the 1800s had a common on which residents could graze their stock. Stock were identified with a metal of which the following photograph is an example. 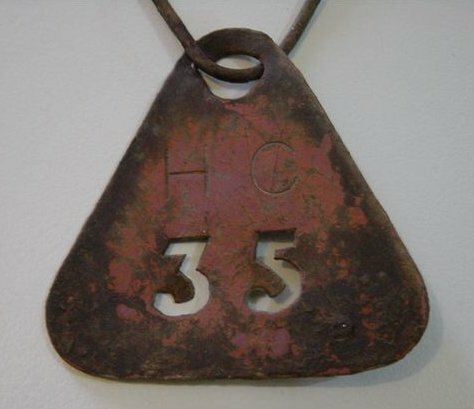 This tag was found by Paul and Heather Janicki of Hotspur.